I’ve just begun a series on the hardest NY OA issues to collect based on a recent thread in Patch-L. Here is one of the toughest items from Nischa Nitas Lodge #410. I actually held one in my hands once, but it is the only time I’ve seen it up close and personal. It had a very short run and is also very collectible as a Ceremonial Team issue. 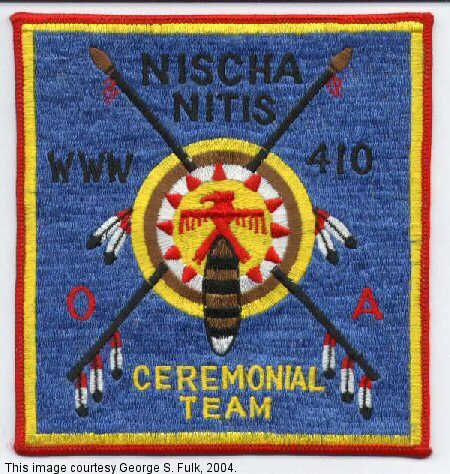 One Nischa Nitas Lodge #410 J1 just finished up on eBay for nearly $ 1600. At most this may be the second one I’ve seen on eBay over the last 10 years of steady searching. Also one of the nicest, but simple looking designs in a Jacket Patch. 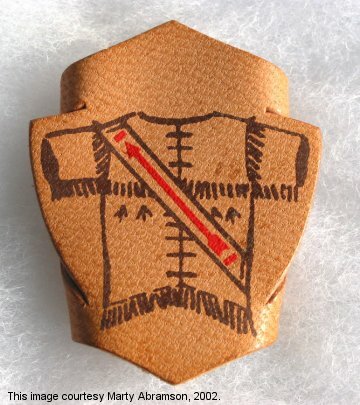 There was a thread on Patch-L regarding what were the harder (or hardest) OA to collect from your Lodge or Section or State. Now in New York there are the obvious Wakoda A1 or Hanigus R1; but both are likely $ 15,000 items. There are also a number of slightly lower tier items like the Nick Stoner A1 which are certainly tough, but are seen on a semi-regular basis. With deep enough pockets or the right trade material they are obtainable. You can add your thoughts to the discussion by adding a comment or emailing me at nyoatrader -at- nyoatrader dot com and I’ll work it into a future installment. I’ll add my thoughts on the NYC area lodges, but here are Mike Hulsizer’s thoughts on the lodges he collects. Mike maintains a great collecting resource for these lodges, the Western New York Order of the Arrow Patch History. I collect 3 lodges from WNY. Most pieces are pretty easy to get. However, a few are tough. R1: Probably the most expensive piece from this lodge (~$125) but they are floating around on eBay. L1: Rarest piece – never seen on eBay. I did pick up an 284L1 on eBay years back, but is was not properly described. Unless you know what you’re looking for, you would not know what it was.